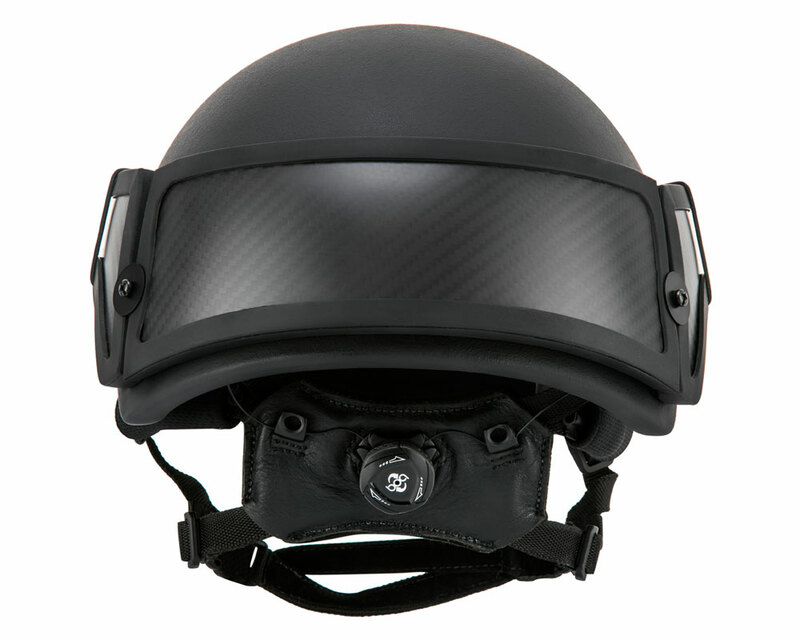 Diamond Age has revolutionized the modern combat helmet. The BASTION is the first combat helmet that can withstand direct hits from all common rifle rounds, including steel core rounds, at muzzle velocities. 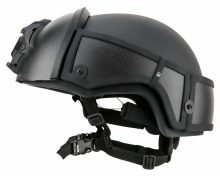 • Augmented with an ultra-lightweight carbon fiber and ceramic strike-face. • Improves protection to levels never before seen. 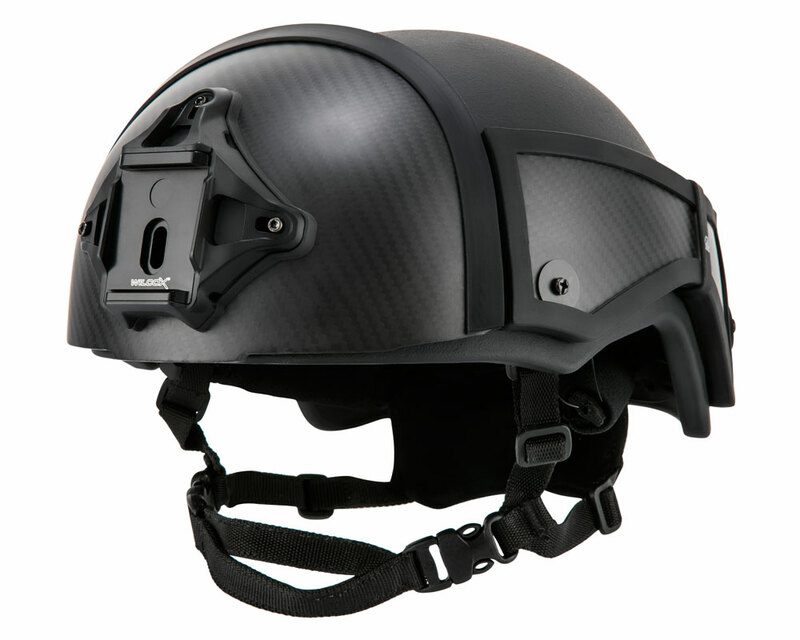 The BASTION helmet is the first to offer comprehensive protection from rifle rounds, including the M855A1 enhanced penetration round, at muzzle velocity. 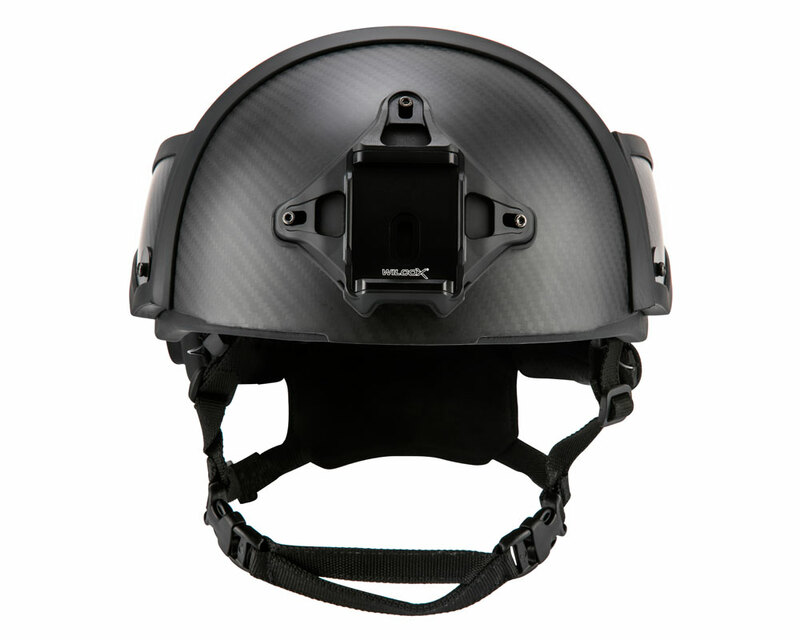 • Rationally designed to improve protection where it’s needed most. The modular design of the BASTION helmet was informed by careful analysis of battlefield epidemiological data and casualty statistics. • Fully modular. 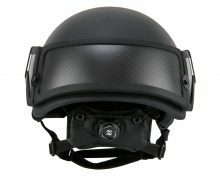 The full five-plate configuration, which covers the entirety of the helmet shell, is intended for manning turrets, for vehicular patrols, and for tactical raids and entries. A lighter configuration, consisting solely of the front and back tiles, may be better-suited for infantrymen. Snipers may choose to wear only the front tile. • The ultra-lightweight shell alone offers IIIa ballistic protection, and blast and blunt trauma protection in line with military standards. 17gr. FSP V50: 670m/s. • Designed for hard use in the field. The ceramic and carbon fiber parts are easily removable, with no tooling required, and those parts are durable and stackable, for easy storage and transport. • Accommodates Wilcox® shrouds without sacrificing an inch of coverage. M-Lok rails also available. • Features the industry’s most advanced padding system, specifically engineered for both comfort and optimal performance against high-impact rifle rounds. 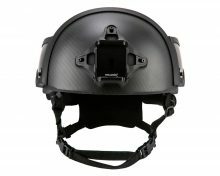 A revolutionary advance in combat helmet engineering! Available in multiple sizes and colors. Contact us for pricing, purchasing details, and distribution inquiries.